The Australian capital city of Canberra is a unique destination to explore. Wrapped around Lake Burley Griffin, the town spills out from the central Parliament House into an array of attractions and activities. Full of interesting architecture and galleries and surrounded by nature reserves, Canberra will keep you busy for days. What better way to explore this fascinating city than by rental car? Getting around in Canberra is incredibly straightforward. With little congestion even at peak hour, the city’s well placed roundabouts are easy to navigate and allow traffic to flow through. Watch out for bike lanes, and remember to share the road. After picking up your rental car at Canberra Airport, it’s less than a 15-minute drive into the centre of town. Alternatively, jump on a bus and head straight to your rental car company depot to pick up your vehicle. ● If your driver's licence is in English, it will be accepted in Australia. If not, you need to acquire an international driving permit. ● Speed limits within the city are generally 50km/h unless signposted, and out in the country up to 100km/h. Parking can be as low as $2 in Canberra, and there are free car parks with a stay time of 2 hours. At Canberra Airport, there is a Passenger Pickup Zone, as well as covered and uncovered carparks ranging between $2 - $30. Read more about the rates on the Canberra Airport Parking page. Renting a car in Canberra will open up the city and the surrounding areas so you can spend your holiday exploring the sites. Pre-booking your rental car with Airport Rentals will make it even easier. No matter the style or price of car you’re after, easily filter down your vehicle options from a range of rental car companies and be ready to go in a matter of minutes. Located an easy 15-minute drive east from the city centre, Canberra Airport is a world-class airport. With spacious areas to rest from your flight, cafes and dining areas to grab a bite, flying into Canberra Airport is a thoroughly enjoyable experience. When you're ready to get on your way, pick up a rental car or jump on a bus to head into the city. For hotels in the city, stay at The Vibe Hotel near the airport, the quirky QT in central Canberra, or Hotel Hotel, which is home to the delicious Monster Kitchen + Bar. The Canberra City YHA, Bush Capital Lodge, and Dickson Central all provide comfortable rooms at a low cost, but if the countryside is more your scene, try some of the wonderful bed and breakfasts on the fringes of the city. The Pommy Tree Bed and Breakfast and The Old Stone House are beautiful places to spend a night or two. Drawing in thousands of visitors each year, Canberra is host to a variety of events and festivals. ● One of the biggest events is Canberra Day, where the region celebrates the wonderful history of the city. 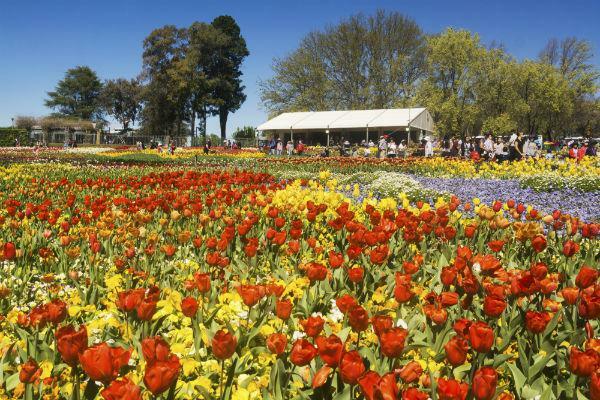 ● The flower festival of Floriade bursts into Canberra during spring, as thousands of colourful blooms fill Commonwealth Park. ● The National Multicultural Festival fills the streets of Canberra in February each year. The suburb of Braddon is full of some of Canberra’s best restaurants and diners. From Italian cuisine, to Central American dishes, to award winning East-Asian plates, they have what you crave. For a more on-the-go meal, visit the Capital Region Farmers Market for homemade delights. For those with a sweet tooth, Frugii Dessert Laboratory is home to some of the best chocolate ice-cream in the world. 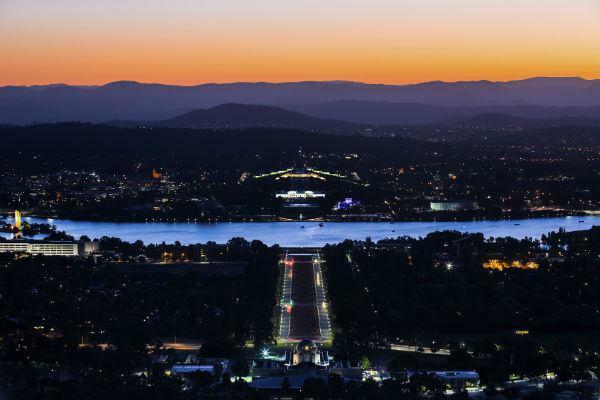 Canberra is Australia’s largest inland city, situated in the Australian Capital Territory (ACT) between Sydney in New South Wales and Melbourne in Victoria. The inland nature of the city means there’s no coastline, but it does have a stunning lake at its centre, Lake Burley Griffin. The multicultural and laidback population of Canberra numbers at roughly 400,000. From stunning nature reserves to galleries and museums, there’s a little of everything in Canberra. 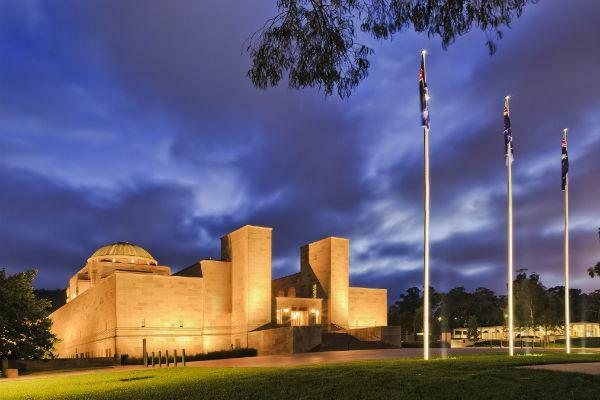 ● For the history buff, be sure to visit the Australian War Memorial and the National Museum of Australia. ● Kids will love the Questacon interactive science centre, where educational exhibitions are mixed in with fun puppet shows and presentations. ● At both the National Zoo and the Aquarium you can have an encounter with some of Australia’s most incredible animals. While Canberra is incredibly easy to get around by car, it also has a fantastic public transport system. Buses are a cost-effective way of getting around. Route 101 is a free loop which allows tourists to get on and off as they explore the city. Like most of Australia, the summer months (December - February) can get pretty warm. Canberra can get up to 28°C during the day, and in the winter months down to a chilly 11°C. The annual rainfall is the third lowest in the entire country (after Adelaide and Hobart).